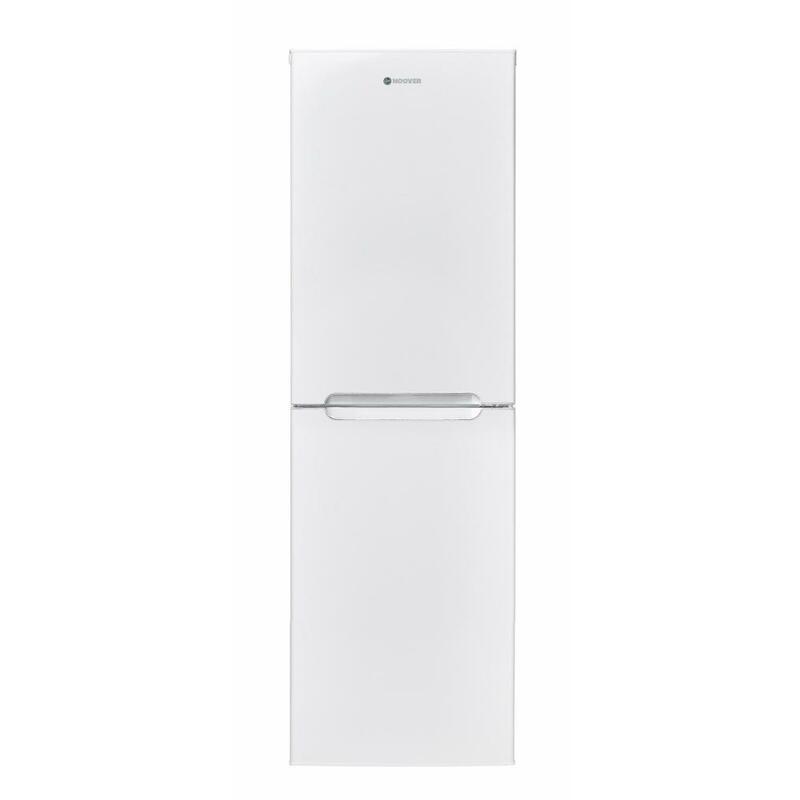 The Hoover HCF 5172WK is frost free fridge freezer with an A+ energy rating. The fridge freezer has a total net capacity of 227 litres. The fridge net capacity is 162 litres. The fridge has an extra large transparent salad crisper and 2 adjustable shelves. The shelves are spill resistant with raised edges to prevent spills from contaminating the rest of the fridge. The salad crisper also acts as a shelf. The door in the fridge contains storage for eggs, cheese and small jars. 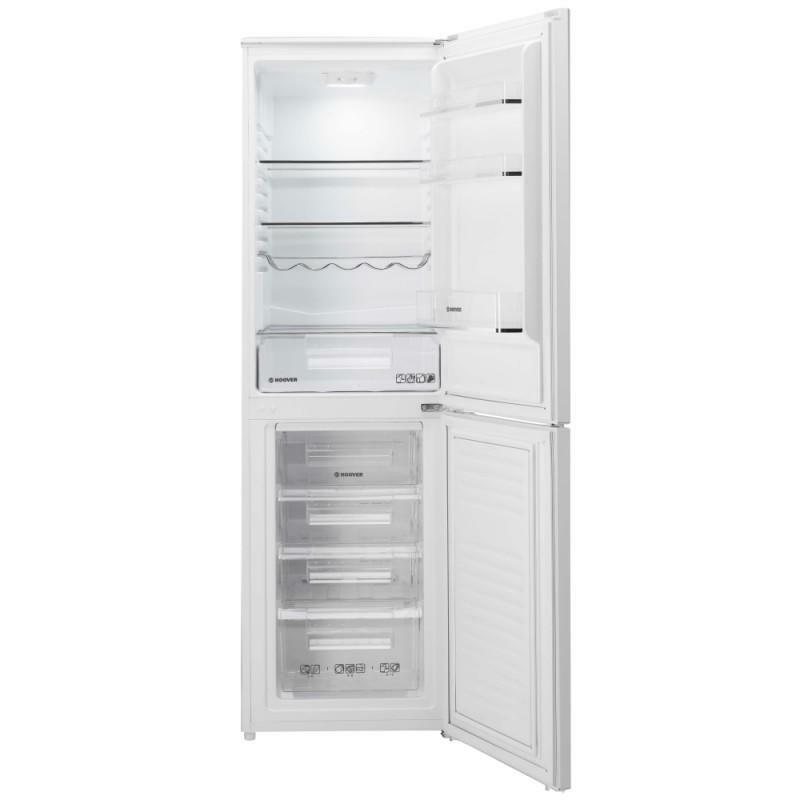 The freezer compartment has a 4 star rating and has a net capacity of 65 litres. There are 4 transparent drawers and the freezing capacity is 3.5 kg /24 hr. The climate class on this appliance is ST: 16 – 38 degrees Celcius.